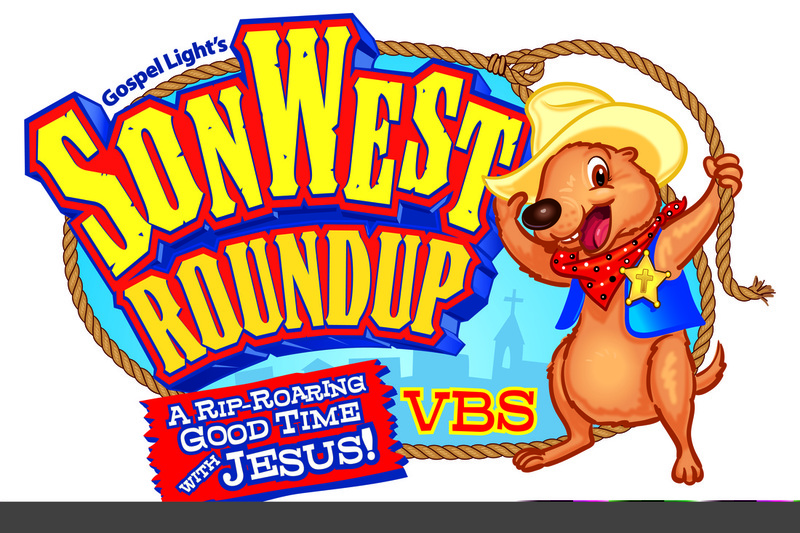 Check out the photo slide show of this year's VBS below and the video of the closing program. Out in the wide-open spaces, we’ll discover a colorful old town where all the excitement of the Wild West awaits! In SonWest, we’ll celebrate all the fun of being buckaroos—so grab a sarsaparilla and join in the jamboree! The children attending rode with us under the deep blue skies and felt the breezes rise through the shady purple canyons as we headed out through this bright wilderness — traveling down the trail through the Old Testament stories of Moses to discover God’s ultimate plan of salvation in Jesus, because “Jesus Christ is the same yesterday and today and forever” (Hebrews 13:8). Here are some photo of this year's SonWest Roundup and the fun experienced by all. Video below is the children performing the theme song at the closing day program on June 20.